Since the last newsletter there has been quite a bit of news about our coffees that we have not updated you on yet. There is also an addition to the Jura model range, and we've been able to secure a working relationship with WMF. Get yourself a quaffable cup of Quaffee and take a seat this newsletter is quite long, enjoy. With the Ethiopian crop shipments being delayed because of issues in Djibouti (where most Ethiopian coffee is shipped from), we ran out of our specialty grade Yirgacheffee and are also running low on Limu. We sampled all the locally available Yirgacheffee’s and in the end made a call to fly in an emergency lot of Yirgacheffee to get us through. This Yirgacheffee we have had before just from 2015’s crop. It comes from Café Imports and their relationship with the washing station in the Addo region. We had to pay a premium on the coffee as well as having to pay extra to fly it in, so this coffee costs a bit more than normal. It is, however, a superb example of the coffees that are available near the town of Yirgacheffee. 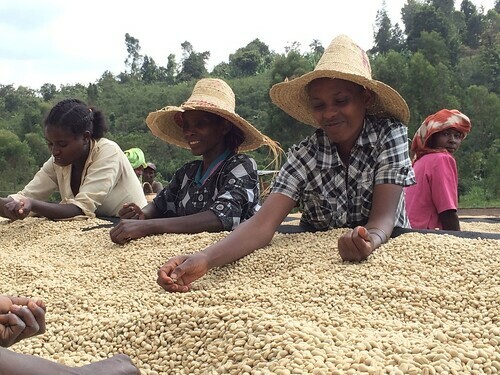 We anticipate our new lot of Yirgacheffee will arrive late September. This will cost less due to the cost of the coffee, the cost of transport and the recovering rand. So we anticipate the pricing of Yirgacheffee to return to its old price or even less. Also affected by the problems at Djibouti is Limu. At the moment we have two bags left of the 2015 crop. There is no town called Limu in Ethiopia, it is essentially a coffee term that means 'coffee from the Kaffa forest or West Oromia region'. While there is the bulk untraceable Limu available from the local importers, it is 2014 or 2015 crop and it has not been stored in grain pro bags so has aged a good deal. All we taste was a dominance of paper and cardboard in the coffee. We have however secured coffee from the Kaffa forests to get us through. This coffee is on the water already and should get us through to end October when we anticipate the 2016 crop of Limu Konjo to arrive. The 6th of September will be our first release of the Cup of Excellence winning coffee from The Long Mile Project’s Heza washing station. This is the first of their coffees that won the Cup of Excellence award and we will be roasting it every Tuesday from that date if there is enough demand. 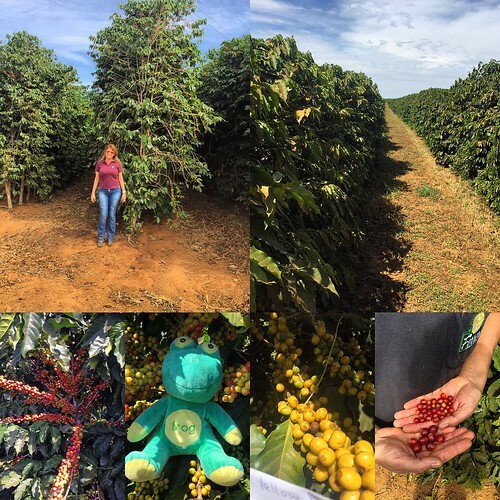 We have been very impressed with all the coffees from 2015/2016 season from the Long Mile Project, the coffees offer very good bang for their buck. We are busy trying to secure the new crop. We are now also offering the coffees we roast exclusively at the vineyard for order. These coffees will be on the website and listed as roasted at the Vineyard hotel. At the moment we are offering the Honey processed coffee from the Long Mile Project, Nkonge (read more here…) and the El Salvador Santa Leticia (read more here…). Please note there may be a days delay in delivering these. Remember all these coffees can be ordered online or by emailing orders.at.quaffee.co.za. Jura has release their “W” range of machines. The WE6 is a coffee only machine designed for offices and it has a sister in the WE8, which adds milk preparation based coffees.